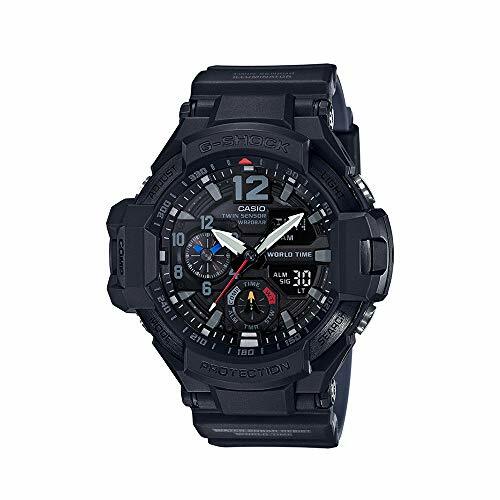 Designed for toughness and functionality this Casio G-SHOCK Gravitymaster sets new standards. A World Time dial that uses minimal coloring promotes readability. The bi-color molded band has a black outer surface and gray inner surface, which also creates a contrasting accent. 52.1mm Resin Case. Shock Resistant. Mineral/Spherical Glass. 200M Water Resistance. Resin Band. LED Light. Digital Compass. Hand Indication of North. World Time. Thermometer.